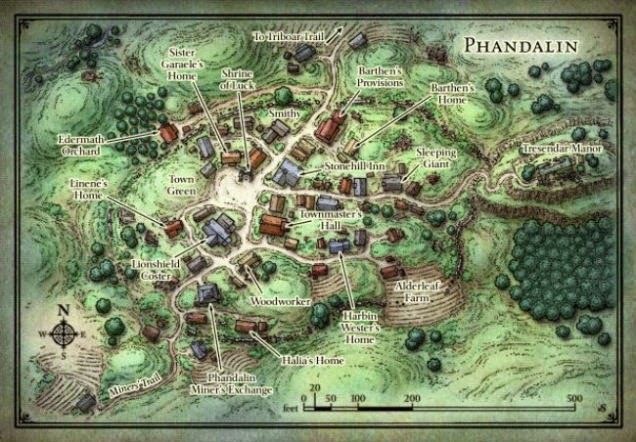 Our Thursday group, run by the wonderful Ben B. just wrapped up the Lost Mines of Phandelver and stabilized the village of Phandalin. We started this game right around the release of the DnD 5th Edition Starter Set. And we just finished it. Sure we joked about other groups that "cleared" it in a week or two. But we didn't. We investigated and bickered and built in-game relationships and we have a pretty clear idea of who are characters are and what motivates them. As a a matter of fact, when the game picks up in two weeks and we hit level 5, not all of the characters are going on to Neverwinter. My character, Hollis (Halfling Barbarian), Bruenor (Dwarf Wizard), and Kesh (Dragonborn Fighter) are staying in Phandalin to build a brewery (Bruenor), learn elven (me), goblin (Kesh), become sherif and possibly mayor (me) and establish a trade route to Mithral Hall (Kesh). The rest of the party is following Singular to Neverwinter. I'll be making a new character (still not sure what) and we'll be adding a Monk and a Warlock and a Cleric. Its what a game should be. I'm proud to be playing in it. I hope everyone enjoys the the Starter as much as we did. 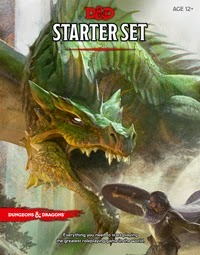 As an aside, I vastly prefer the sandbox style of the Starter vs the railroad of the Tyranny of Dragons books (and I understand why they had to be different, but I hope Princes of the Apocalypse shares more with the Starter than the first campaign).